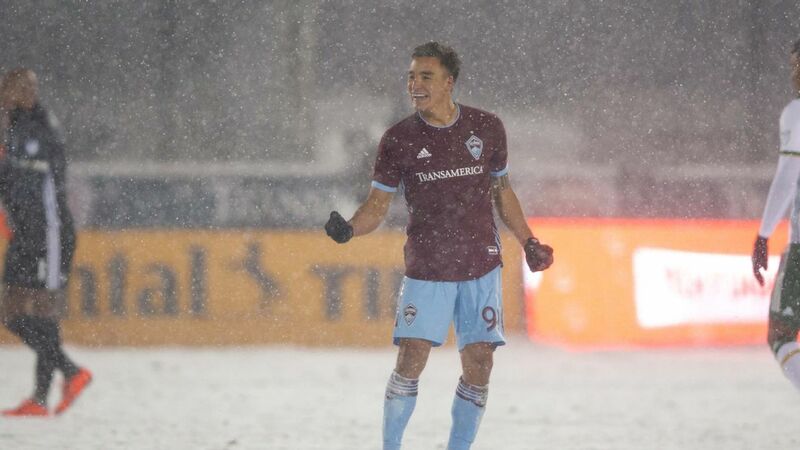 Anderson also has international experience with St. Vincent and the Grenadines, but rather than college he played professionally in Antigua and Barbuda in 2014 before joining Seattle Sounders 2 in the USL a year ago. Morris was under pressure to turn pro after his junior season, and Schmid said Anderson's time in USL has proven more valuable. "S2 definitely helped him," Schmid said of Anderson. "It helps because it's a higher level than college. You get challenged a little bit more. "Coming from St. Vincent's, for him to get into a more structured program in terms of getting coaching and having to come through at practice every day -- all those were important points to his development." Schmid, who also revealed on Wednesday that he broke his leg in a recent accident at home, also praised the work of Anderson's fellow subsitute Herculez Gomez. 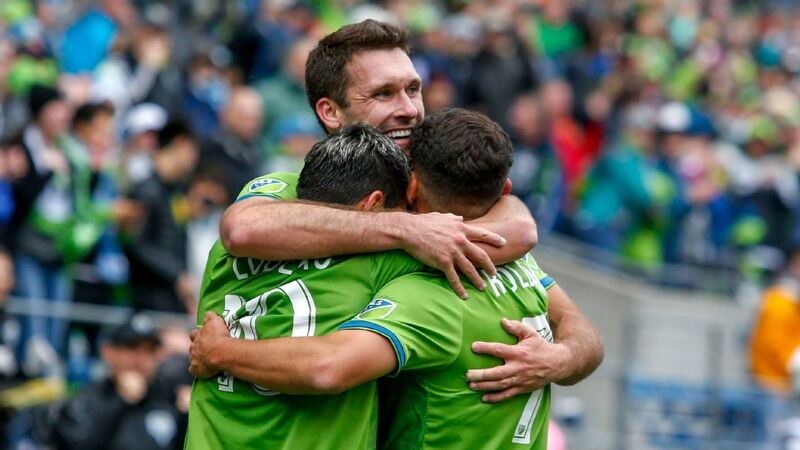 The Sounders are loaded with forwards in Clint Dempsey, Nelson Valdez and Jordan Morris, but the trio only has one goal between them through five games. In the meantime, Gomez and Anderson have impressed off the bench, and Schmid said super-subs were the key to salvaging a draw with the Houston Dynamo last weekend. "I thought Herculez did well, he's a veteran player so he made good decisions, came in and found some good spaces for us and played well," Schmid said on Wednesday. "I thought Oalex did well also. He brings us that speed coming off the bench. He's a guy who can come off the bench and find the game quickly." Gomez is not quite fully fit after signing for Seattle in late March, but the 34-year-old said he's comfortable with not starting. "It's not the first time I've come off the bench," Gomez said. "I learned how to do that the majority of my time in Mexico. That's how I made my name."